“Candelabro Flor” Beautiful handcrafted iron plate candle holder, unique and original handcraft from El Callejon Art. Pecfect piece for home decor hacienda style, mision or rustic decor. 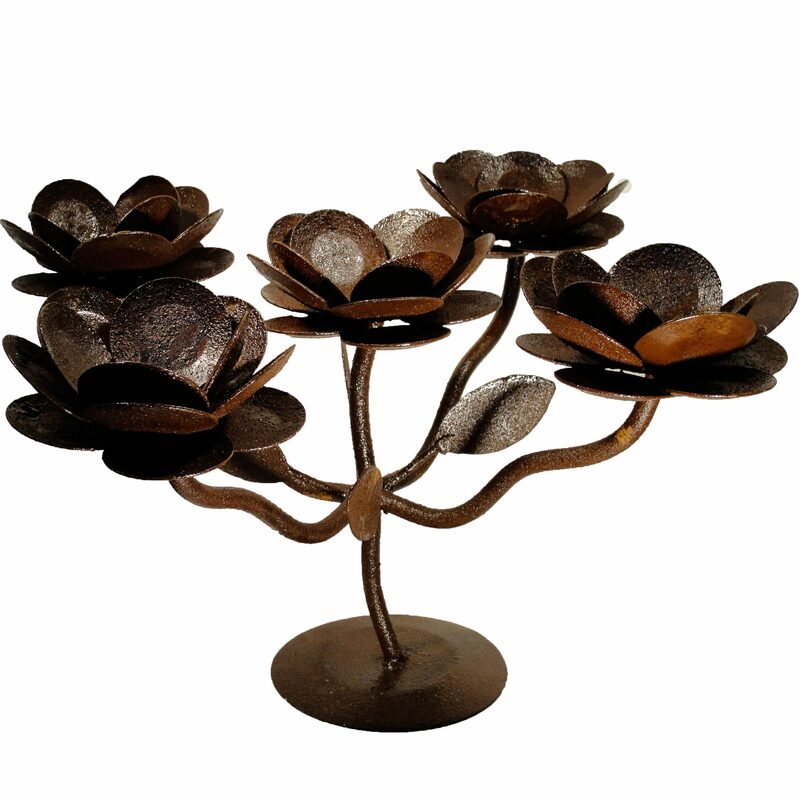 “Candelabro Flor” Beautiful handcrafted iron plate candle holder. Rustic brown color finished, elegant and unique handcraft from El Callejon Art. Pecfect piece for home decor hacienda style, mision or rustic decor.